By Rajiv Sighamony in Office. Updated on December 31, 2014 . Interviewing a candidate has never been easy. It involves foresight, vision and the ability to see through the interviewee’s mind. An interviewer should be able to throw questions, which must rattle a candidate, and should put him in the spot of bother. He should be able to look through an interviewee’s mind, and analyze his mental grasp of the situation. That said, the strength of an interviewer lies in posing questions, and reflecting on candidate’s behavior during the course of the interview process. Today, following the post, ‘10 Most Asked Interview Questions‘, we are going to switch the angle and discuss the wisdom of choosing the right candidate. It certainly involves certain cognitive process and decision making, but if you are doing it right, you get the best for your company. An interviewer is entrusted with the task of choosing the appropriate candidate. He should begin with preparing a list of qualities that he wants in a candidate. The art of choosing candidate lies in finding those qualities in an interviewee through interaction. Questions related to interviews should be specific to the task. Never generalize interviews. Most interviewers generalize interviews, and that can never help them to identify the right talent. Generalization begets ordinary talent. It will never help firms to scout for what they had been searching for. Some firms perform two step interview processes. The first step will have a general interview, which helps firms to filter best ones from average candidates. The second step will involve finding the best from the already filtered candidates. It engages specific task related interviews, and it helps firms to trace the right talent. However, the two step interview process is only successful when the list of interviewees is large. The role of an interviewer may change according to the post for which interviews are being held. Hunting for right managers will involve different set of strategies than looking for ordinary employees. Again, hiring an insider for a top post is different from hiring someone from outside. Interviewers have to make a lot of adjustments while taking interviews in different situations. An interviewer’s biggest task is to read the interviewee’s mind. He should be able to pick what goes on his mind. It is important to catch the truth in the candidate’s speech; the confidence behind the facade should never be missed. But before the interviewer tap anything from the candidate’s mind, he should get the interviewee relaxed. He should try and open up a candidate, so that he gets on his own. A candidate’s true self can only be realized once he gets over his nervousness. In this case, the interviewer can throw questions to the interviewee to open him up, so that he gets in a position to understand the candidate. Many interviewers are self-centered and they would only perform their chores on the interview table, without even bothering a candidate. Learn to pick signals. Has anyone bothered to read the candidate’s body language? What do his mannerisms say about him? Is he well dressed up? But appearance is just a teaser, as the real trick to knowing the candidate is ask the right questions. Begin with a look at the candidate’s Curriculum Vitae. 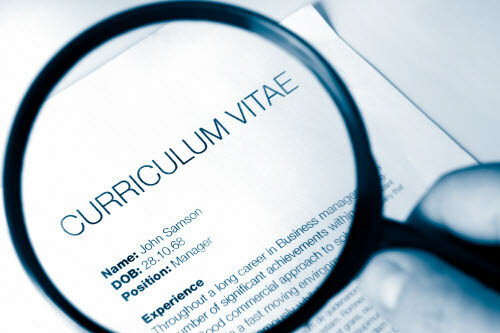 A curriculum vitae is the true picture of what the candidate has achieved in his life. His professional achievements are embedded in it. It is the best document to find questions to throw at a candidate. Always ask questions from his curriculum vitae. It is said that past is the most defining picture of what lies in the future. There is always some relationship between the past events and the future. Questions from the past will give a clear indication of what a candidate can deliver in future. Importantly, an interviewer should be able to grasp the nature of work that the interviewee has done in the past. The candidate’s speech should give a clear idea of the extent of specialization that he has performed in his works in the past. Speech should be read. The behavioral response from a candidate should be read properly to make out the truth in the candidate’s speech. Never ask questions in a random manner. Questions should be designed according to the needs of the post, and also after going through the candidate’s Curriculum Vitae. Format the interview process, especially if interview is being held for selecting the top level candidate. Interviewer should be careful about what he says. Never say something that will provide information to candidate, or help him during the course of the interview process. That said, the interviewer should speak less. He should indeed be a good listener and a good observer, too. The more he concentrates on listening, the better his decision will be. Though the candidate’s main objective is to get a job, yet, there could be series of hidden objectives in the candidate’s mind. As an interviewer, the knowledge of candidate’s intention will help in the process of decision making. There are candidates who have decided to take a jump from the old place of work, just because they need a salary hike, while few seek additional responsibilities associated with the new job profile. Some candidates love to be adventurous and few do not get along well with their old boss. It is important to follow what questions a candidate asks, as his priority stems from the questions he asks. If a candidate is worried about an increase in his salary, he will demonstrate his willingness to know what he wants to know. Avoid those who enjoy the thrill of changing their job. Such individuals never make good employee. Select those who thrive on sticking with a company for longer period of time. They are precious, and bring value to a company. The bottom line, though, is to choose the best, so if an interviewer doesn’t find one, wait till one arrives.